Our board has an unwavering commitment to the Habitat mission and a passion for serving those in need. They work tirelessly to ensure long-term sustainability of Habitat for Humanity of Catoosa County. Tony Hullender is currently serving as HFHCC President of the Board. Tony is the owner of Garcan Enterprises and they specialize in custom cabinetry and furniture, custom motor coach interiors, and sprinter van custom interiors. Tony is a graduate of Ringgold High School. He is married to Candy Hullender and they have five children. Tony is also an accomplished musician and has served as music director at a local church. Ms. Greeson is Vice President of the HFHCC Board of Directors and is a member on our Family Selection and Nurturing Committees. She has been involved in bringing lunches to workers, landscaping for Habitat homes as well as acquiring, and delivering, furniture and landscaping materials for families of Habitat, and grant writing. Before serving on Habitat Ms. Greeson volunteered for one year on the Family Selection Committee prior to becoming a board member. Other accomplishments include serving as a caseworker for COAD after the 2011 tornado in Ringgold and being recognized as Georgia School Social Worker of the Year. Ms. Greeson is also involved in the North Georgia Master Gardener, Catoosa County Children's Fund, and Ringgold United Methodist Church. 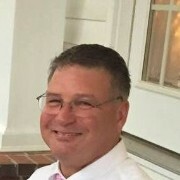 Mr. Coe currently serves as HFHCC's Treasurer and is a member of the Finance Committee. On the Finance Committee Mr. Coe investigates what goes into assets and expenses along with how they are shown. He has been involved in banking since 1984 and handled inspections of homes for banks in 1981. Also, from 1977-1979 he built homes as a career. Patrick previously worked with the Chattanooga affiliate for Habitat and ran a work crew through his church for that affiliate. Some of Mr. Coe's greatest achievements include his raising of three exceptional children and his marriage of 34 years. Mr. Davis is an HFHCC board member and has been a volunteer since 2008. He is also a member of HFHCC's Building Committee and is a contractor, running his own construction business for several years. 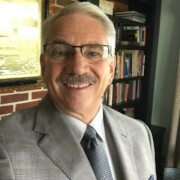 Among Mr. Davis' other accomplishments include being a board member of Christ Chapel's Care & Share Mission, being involved with Constructors for Christ where he takes annual trips to build churches, and being a member of Ringgold First Baptist Church. 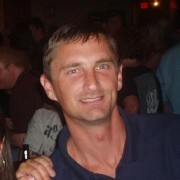 Mr. Greeson is a board member at HFHCC and serves on the Fund Raising Committee. Before becoming a board member Mr. Greeson was a volunteer, bringing lunches to workers as well as working on building projects. Before retirement he was a teacher at Boynton Elementary, Ringgold Middle School, and GNTC as a part-time math instructor. 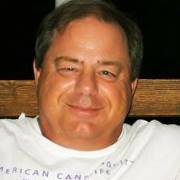 Some of Mr. Greeson's accomplishments include serving on the Ringgold City Council for 6 years and being the Catoosa County Commissioner for 2 years. Other organizations he is involved in include the American Legion Catoosa, Retired Teachers, and Ringgold United Methodist Church. 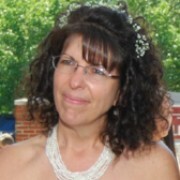 Ms. Hullender is the current secretary on HFHCC's Board of Directors. 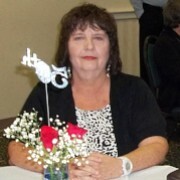 She has been both a volunteer and an employee of HFHCC for many years. Her accomplishments with the organization include writing a safety manual for volunteers, wrote and complied electronic files for policies for easy access, wrote the NSP grant and was awarded to acquire properties for rehabilitation. Among these accomplishments she also contracted out with Home Depot to receive discarded goods and started the process for application for lumber reimbursement grants. Other organizations Ms. Hullender is involved in include the PCCG as board secretary, Healthy Foundations executive board member where she serves as secretary, Communications board member at Voices for Prevention, and serves as Nursery Assistant and Choir Member at Parkway Baptist Church. 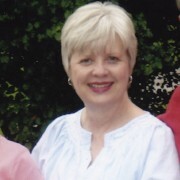 Ms. Graham is a board member and member of the Family Selection Committee at HFHCC. On the Family Selection Committee she, along with other committee members, select new Habitat families for homes through the application and interview process. She volunteers for Habitat and has worked on several landscaping projects for homes as well as working part-time as a case manager for homeless seniors in high school. Before retirement Ms. Graham was a middle school teacher and guidance counselor for 30 years. Ms. Graham is also on the Worship Committee at First Christian Church (Disciples of Christ) in Chattanooga, is a member of the Northwest Georgia Beekeepers Association, and attends Master Gardeners of Northwest Georgia. 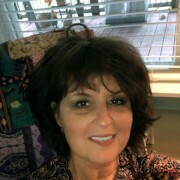 Pam O'Donald is originally from Augusta, Georgia. She is a member of Smith Chapel UMC. 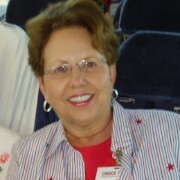 Nancy Davis is originally from Tucson, Arizona. She is retired after working 36 years for the Postal Service. Nancy is married to Leland Davis. Nancy enjoys volunteering at Christ Chapel Share and Care . She is also a member of Ringgold United Methodist Church where she volunteers with the Recovery at Ringgold Ministry and is the President of the U.M.C. Women. Chris Harris is a local attorney in the Ringgold area. 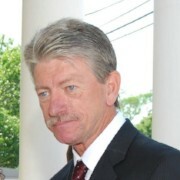 He is a graduate of Ringgold High School and received his undergraduate degree at the University of Georgia. He graduated in 2013 with his law degree from Mercer University. 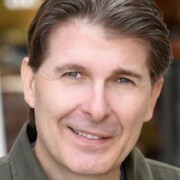 Randall Franks is a film and television actor, author, and bluegrass singer and musician who plays fiddle, mandolin, guitar, and mountain dulcimer. You may remember him for his role in the television show, In The Heat of The Night, as the character Officer Randy Goode. He also serves as a council member for the City of Ringgold. Randall is the president of the Share America Foundation that provides scholarships to youth continuing the musical arts of Appalachia,and also a member of the Boynton Lions Club.